Division of Boating and Waterways (DBW) is now accepting applications for U.S. Fish and Wildlife, BIG Tier I and Tier II grants. DBW is the designated State entity for administering these programs. Funding is through the Wildlife and Sport Fish Restoration Program. These Federal grants are for boating infrastructure improvements that service transient recreational vessels of least 26 feet in length. Transient vessels are those “passing through” staying 15-days or less. Projects completed using BIG funds must provide public access and may be publically or privately owned. Up to $200,000 is available for projects in California. All Tier I grants must meet the eligibility requirements of 50 CFR 86.20. Each Tier I grant cannot exceed $200,000; however, the State of California may award more than one (1) Tier I grant as long as the total amount of awarded grants doesn’t exceed $200,000. Up to $1.5 million may be awarded per project to California projects in the national competition. A total of $8 million is available for Tier II projects nationally. All Tier II grants must meet the eligibility requirements of 50 CFR 86.20. Complete grant applications (see BIG Application Checklist), hard copy and one electronic copy, as well as all supporting documentation must be received by DBW on or before 5 P.M. PST on AUGUST 3, 2018. 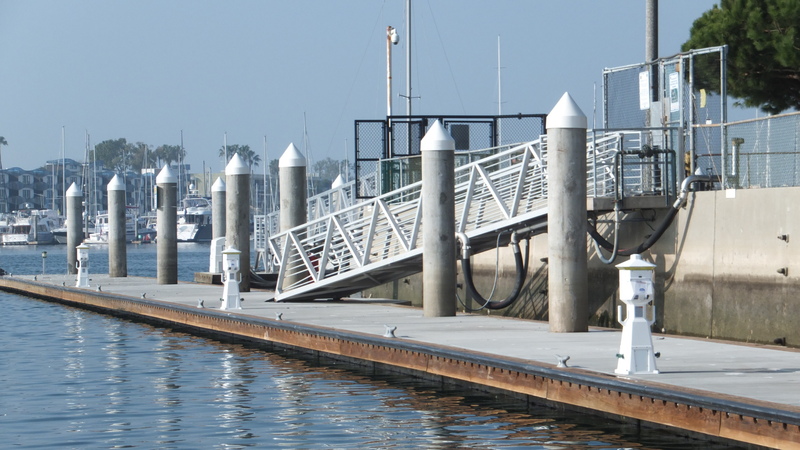 Boating Infrastructure Grant Program (50 CFR 86.20) as published in the Federal Register (General information and program guidelines start at section 86.11 of the document). All federal funding must comply with state and federal regulations including 2CFR200.